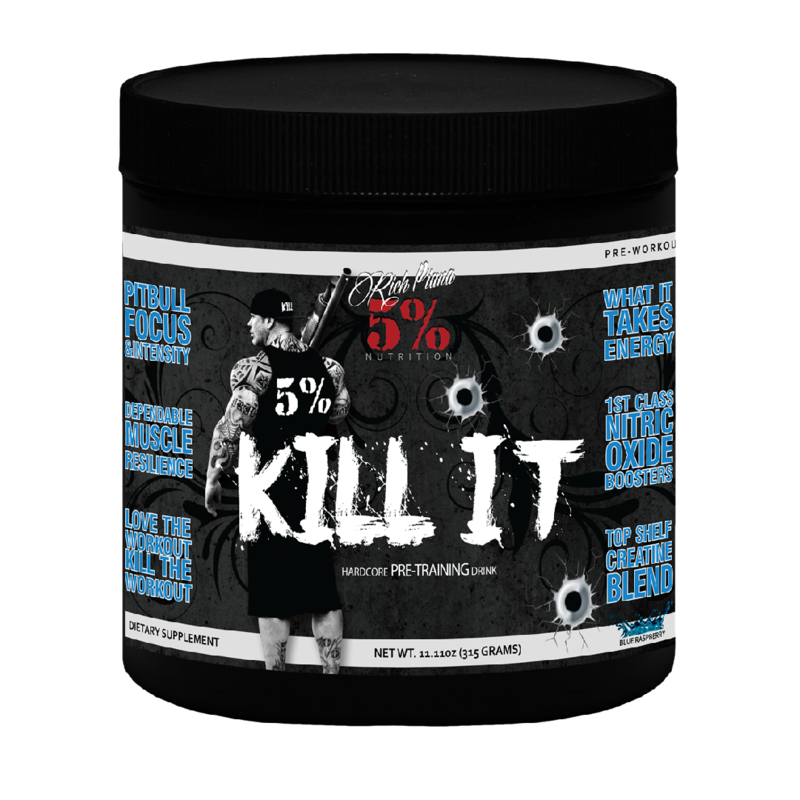 KILL IT Pre-workout was designed to elevate your ability to train harder, stay strong longer, and produce an overflowing pipeline of muscle healing blood to your working muscles. You love working out and having killer workouts; all you need is something to help you get past your natural ability. Agmatine Sulfate – Pre-workouts shouldn’t be all about stimulants and that’s it. Right now, Agmatine is hailed as the best Nitric Oxide booster on the supplement market. Obviously there’s gonna’ be a generous amount of it in KILL IT! How does it work? Glad you asked. Guess what happens when your body breaks down Arginine? Agmatine is produced. Who needs Arginine when you can save some steps and just get right to the good stuff; Agmatine. Agmatine produces a gas called Nitric Oxide (NO). Nitric Oxide dilates blood vessels. When your blood vessels are opened wider like this you get more blood flow and more oxygen to your working muscles. That’s that pump that does so much for your muscles! 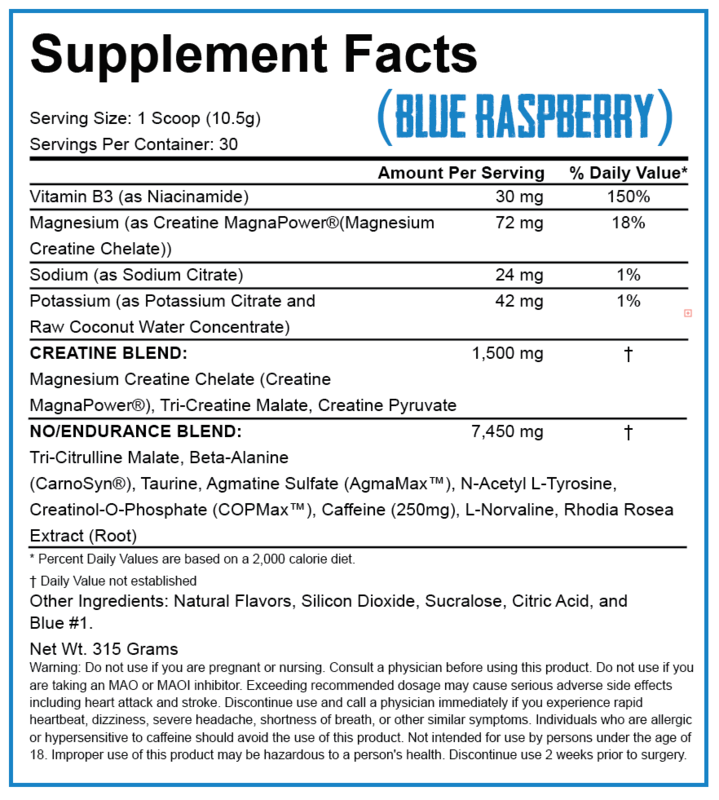 Citruline Malate – This is the second part of a seriously potent Nitric Oxide Boosting trifecta! You need A LOT of Arginine for it to actually work because so much of it is broken down by an enzyme called arginase and not used. Citrulline bypasses your liver and dodges arginase so your body can actually use it. Citrulline converts to Arginine from that point which will give you NO production. The Malate part is from Malic Acid , which helps your body regenerate more ATP energy. That’s the energy used in muscular contractions. That means you will get a great pump from Citrulline Malate and you will have greater muscle endurance with less muscle fatigue. That equates to a sick nasty workout! L-Norvaline – Here we have the 3rd critical puzzle piece in achieving an almost painful pump! Let’s see if you are paying attention. Did you just read the above and see a word called Arginase? Yeah….. you did. Arginase is an enzyme that breaks down Arginine. What if we could block Arginase? Well….you can. That is exactly what L-Norvaline does. You can actually have more Nitric Oxide production with KILL IT because it contains 100 mgs of L-Norvaline! NOW THIS is how you get a pump! Niacin – People typically take Niacin for circulation problems. Niacin opens up blood vessels deep in the body. Add this on top of the 3 N.O. boosters already in KILL IT and now we’re talking about some serious blood flow. Too much Niacin can cause an unwanted flush under the skin. Who wants to itch and get redness all over their body? Not many people. That is why KILL IT doesn’t contain an absurd amount of Niacin in it. Beta-Alanine – Alright let’s make this easy. Ready? When you work out, your muscles build up hydrogen ions. Hydrogen Ions create lactic acid. Lactic Acid lowers pH. Low pH causes your muscles to fail. Beta Alanine turns into carnosine. Carnosine is stored in cells. When pH drops- Carnosine is released. Carnosine is an acid buffer and buffers lactic acid preventing a drop in pH. Preventing pH from dropping by taking Beta Alanine allows you to train that muscle longer and past failure. DONE!